I am doing these in honor of my baking party this upcoming weekend. It is a tradition in my husband's family for all the girls to get together and bake. These cookies are very fun to make and are impressive too! I took these to a cookie party at my friend, Jeri's house. I even won "Most Beautiful Cookie" and tied for "Most Festive." Okay, a little disclosure before you start scrolling down. It is long. Don't worry about it. I just found a bunch of tips that really helped me as i went along. The purple are my tips. If this is too confusing for you, and you just want the recipe click here. For the mint dough: Mix the 2 sugars and the salt together in a medium bowl. In another small bowl, whisk the egg and mint extract and set aside. With a hand held mixer beat the butter until smooth in a large bowl. While mixing, gradually add the sugar mixture, and continue beating until lightly colored and fluffy, about 1 to 2 minutes. Stop mixing and scrape down the sides of the bowl. Add the egg mixture and beat until smooth. Gradually add the flour, mixing slowly until blended. Turn the dough out of the bowl, divide in half. Place the halves between 2 pieces of lightly floured parchment or waxed paper. Roll into a 10 by 12 by 1/4 inch rectangle. (tip: before dividing dough, draw with a Sharpie a 10 x 12 rectange on the back side of the parchment paper, this will make your layers the exact same size. See my pictures below. Don't forget to flip it before rolling the dough. Also, if the dough gets too sticky and unmanageable, stick it in the fridge or freezer for a couple minutes) Slide the sheets of dough/parchment sheets onto a baking sheet, and refrigerate until firm, about 2 hours or overnight. For the chocolate dough: Whisk the sugar, cocoa, salt in a medium bowl. With a hand held mixer beat the butter until smooth in a large bowl. While mixing, add the cocoa mixture, and continue beating until lightly colored and fluffy, 1 to 2 minutes. Stop mixing and scrape down the sides of the bowl. Add the egg and beat until smooth. Gradually add the flour, mixing slowly until blended. Turn the dough out of the bowl, divide in half. Place the halves between 2 pieces of lightly floured parchment or waxed paper. Roll into a 10 by 12 by 1/4 inch rectangle. Slide the sheets of dough/parchment sheets onto a baking sheet, and refrigerate until firm, about 2 hours or overnight. 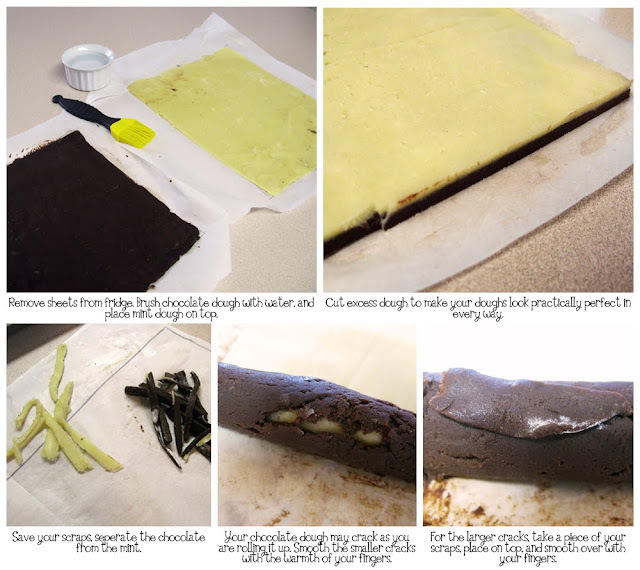 Put 1 of the chocolate doughs on the workspace and remove the top sheet of parchment. (I would remove the one you rolled it out on, the one with the square. It is easier to remove while cold and your dough is probably stuck more to that peice or parchment rather than the top piece.) Brush dough lightly with cold water. Place a sheet of vanilla dough on the workspace, and remove top sheet of paper. Using the bottom piece of the paper to lift the dough, place the vanilla dough on top of the chocolate dough. Take care to line up the edges of the 2 doughs and trim as needed. Lightly press to smooth and seal the doughs together. Remove the top piece of paper. Brush the surface of the dough lightly with cold water. (By the time you get all this done your dough has probably warmed up a little, if not, wait - it is much easier to roll it up when it is a little warmer than fresh out of the fridge) Position the sandwiched doughs with the long edge facing you. Using the edge of the paper as a guide, roll the doughs into a tight cylinder, 2 inches wide. 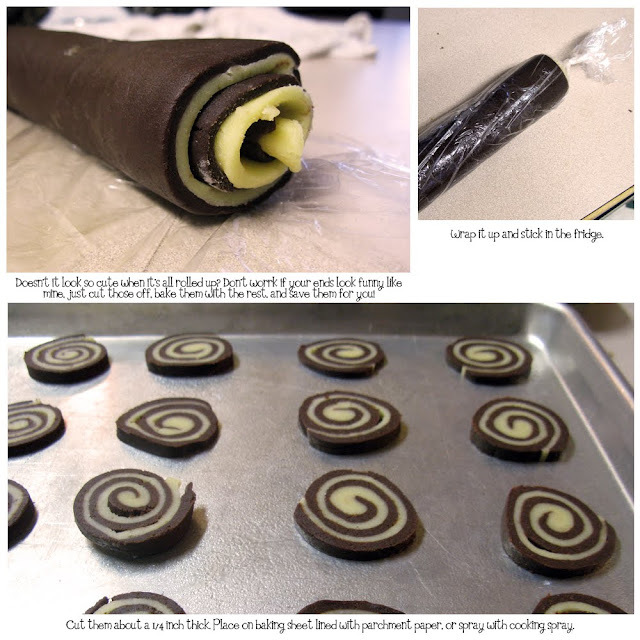 (The chocolate dough will probably crack as you roll it, just smooth it out with the warmth of your fingers, if that doesn't work, fill in the holes with the scraps you trimmed off earlier. Again, if the dough gets unmanageable or is sticking too much to the parchment, place it in the fridge for a few minutes.) Wrap in plastic and refrigerate for 1 hour. Repeat with remaining 2 sheets of dough. Slice the dough crosswise into 1/4-inch thick cookies. Lay about 1/2-inch apart on parchment-lined baking sheets. Bake until just golden - not too dark you'll lose the definition of the spiral, about 14 to 16 minutes. Now, take the cookies to a party and win an award! Sarah...if you have any extras, i'm willing to dispose of some. These are some of my FAVORITES!! Hey, I just made a slightly different recipe of those this weekend! I must admit that yours look a lot prettier than mine. But these are so good! Those are so pretty! I love the swirl! hannah - wish I had some more for you and me! lindsey, linda, maria - thanks! 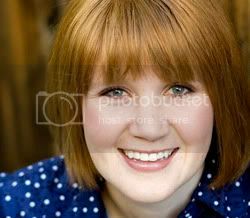 Frieda - welcome! Glad you found me! Beautiful cookie! I will have to give these a try. those look awesome! i can't wait to try them. Wow! 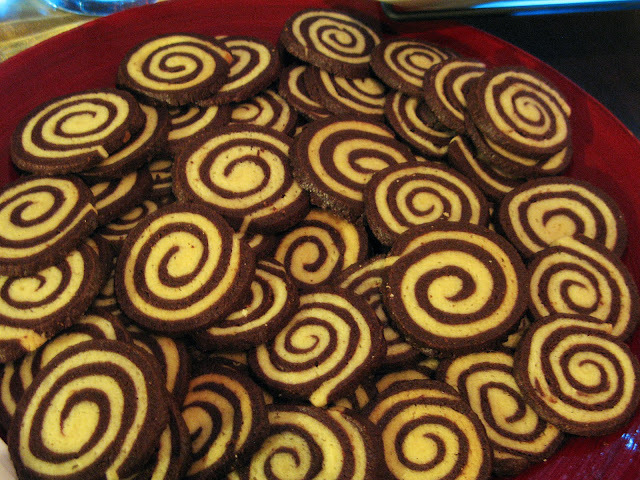 Those swirls are so perfect. Looks cute and yummy. These look awesome........I am bookmarking. Will try soon.